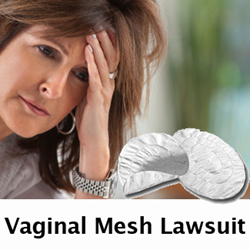 Reuters has also reported that after a 10 day trial the jurors hearning the vaginal mesh lawsuits in a Virginia federal courtroom ordered Boston Scientific to pay the four women damages ranging from $3.25 Million to $4.25 Million. The women have suffered ongoing pain due to injuries they received after receiving the vaginal mesh implant. The firm is currently representing women from across the country in vaginal mesh lawsuits who experienced injuries from bladder mesh implants. For mor information and a free legal consultation contact Wright & Schulte LLC by calling 1-800-399-0795 or visit http://www.yourlegalhelp.com. Wright & Schulte LLC, a defective medical device law firm, is dedicated to the belief that America’s legal system should work for the people. Every day, the attorneys of Wright & Schulte LLC stand up for the rights of people who have been injured or wronged by defective drugs and their side effects, complications from defective medical devices, and unsafe consumer products, and fight tirelessly to ensure that even the world’s most powerful corporations take responsibility for their actions. If you’re looking for a law firm that will guarantee the aggressive and personal representation you deserve, please do not hesitate to contact Wright & Schulte LLC today. Free transvaginal mesh case evaluations are available through yourlegalhelp.com, or call 1-800-399-0795.